I'm excited to interview Dow Phumiruk, an online friend I met through several kid lit communities. Her art is luminous and we featured her on Kidlit411 last year. She talks about how she landed her agent, Deborah Warren at East West Literary Agency. Congrats on landing your agent! Please tell us about her. My agent is just plain fabulous!! Deborah Warren has over 35 years of experience in the industry. Prior to founding East West Literary Agency, she was at Harcourt for 17 years. She represents award winning authors and illustrators like Jim Averbeck, Anna Dewdney, Kimberly and James Dean, Gianna Marino, and Antoinette Portis. 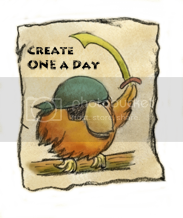 Deborah is interested in children’s authors of all genres, as well as illustrators and author/illustrators. She welcomes new as well as established talent. 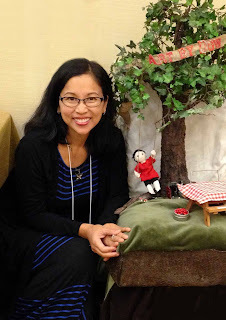 She was on faculty at our recent local SCBWI conference. Are you represented as an author and an illustrator? 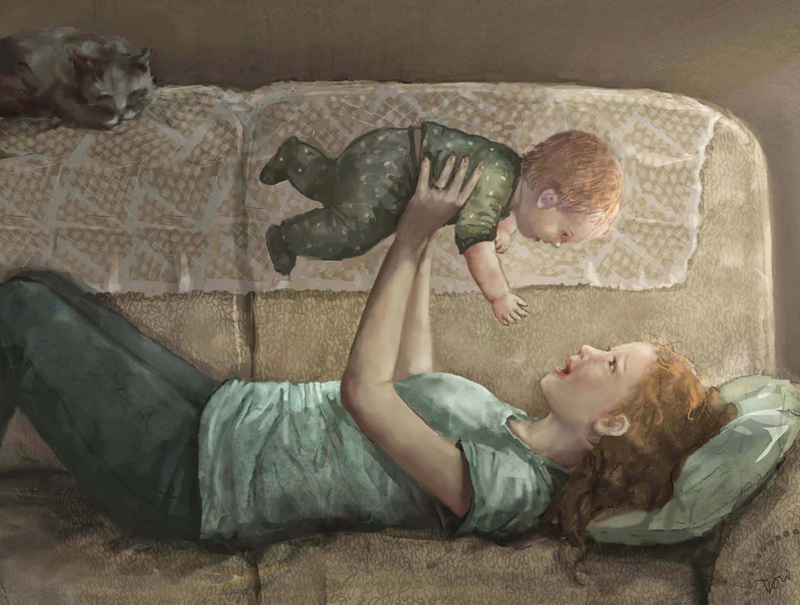 Yes, she will represent me as both, though I am more an illustrator than author for the moment. Still working at the writing! How long have you been writing/illustrating and when did you start submitting to agents? I started writing and submitting children's book illustrations and dummies in 2002, but not very aggressively (especially since I just kept getting rejections!!). After joining SCBWI in 2011, I saw how much I had to learn about the business and grow my art and writing in order to submit competitively. I decided to focus on my art first. I entered every SCBWI illustration contest that came my way. The contests were a great way to practice meeting deadlines while at the same time creating more art for my portfolio. I started submitting to specifically researched agents and editors that I had met or heard speak at SCBWI conferences. It made querying feel so much more natural to be able to picture the whole person while writing to him or her, as opposed to submitting to just a name on a list. After receiving an SCBWI Emerging Voices Award in late 2013 for my dummy MELA IN THE JUNGLE, I felt I was getting close. I hoped an editor would come in and swoop up my winning dummy! Over the course of submitting in 2014, I received only nibbles. I got as close as getting to the second round of editorial review with it... and worked on other projects while I waited. 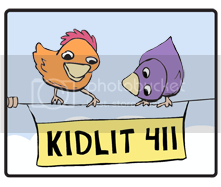 I practiced to improve my writing (joining the Kidlit411 community helped!). By now I realized the dummy, though it had potential, would need some serious revisions to be more marketable (Deborah and I are working on it!). Soon it was time for the Los Angeles SCBWI conference in the summer of 2015. I had a 20 minute portfolio review that was a turning point. The industry professional reviewing my portfolio said I was ready. I got a little teary-eyed, of course, because over the years I had learned to brace myself for every critique, for manuscript rejections, and for the many contests that I didn't win. Hearing objective feedback on your work isn't easy: change this, edit that.. this isn't working.. have you tried ___? It's not personal, and by no means is it mean-spirited (we're children's books people after all). It is a necessary part of the process, right? But it still takes a tough skin! This critique was different, though: she said I was ready. She said I should find an agent - the next logical step with my work. I had never had a critique like this before. Something in my work that year just clicked into place, where each image was up to the same standard. And so since returning from that conference, I knew what my game plan was! I revised some more and emailed two agents I had met in LA. Then September came, and it was time for our local Rocky Mountain Colorado SCBWI conference, where I had the good fortune of meeting Deborah. 4. How did you connect with Deborah and what was the courtship process like? I attended a couple of her sessions at the conference, and I think the whole audience adored her. She was professional, sweet, and knowledgable. I loved hearing how she treated her clients with so much care and attention, describing East West as a "boutique" agency. Erin Dealey, one of her authors who was also at our conference, absolutely glowed about her. That sounded perfect for me! That evening when the illustrators were invited to set our portfolios out on display, some friends came to tell me that my portfolio had caught Deborah's attention. Shortly afterwards, we found each other in the big ballroom, and she let me know she was interested in my work. Two of my favorite friends were standing next to me, and I heard them tell her nice things about me. Oh, how wonderful supportive friends are - these small gestures of kindness mean so much! We all want each other to succeed. At that point, I knew I would submit to Deborah. How did you know she was the right agent for you? Deborah showed such enthusiasm for my work. I was so happy to have a professional that really, really connected with my style. And then, we hugged often during the remainder of conference, whenever I saw her in passing. Okay, probably I overdid it on the hugging. But I was so excited to know that I had a fan in her! Her warmth and friendliness pretty much sealed the deal for me. Tell us about the call! How did you celebrate? It wasn't actually a call. She asked me if I wanted to work with her before the conference ended! We made a verbal agreement in the hall, and I said YES!!! And hugged her again. And I got teary again. A few days after the conference, I emailed to make sure that I hadn't hallucinated the entire interaction. She was thrilled to offer me representation officially. I withdrew my other agent queries and signed my contract with Deborah in early October. We celebrated with food!! I let the girls pick, and we ate calamari at The Cheesecake Factory. Oh, and there was cheesecake involved, too, of course. Any tips for others seeking agents - what advice would you give? Keep working at it!! Someone will notice! 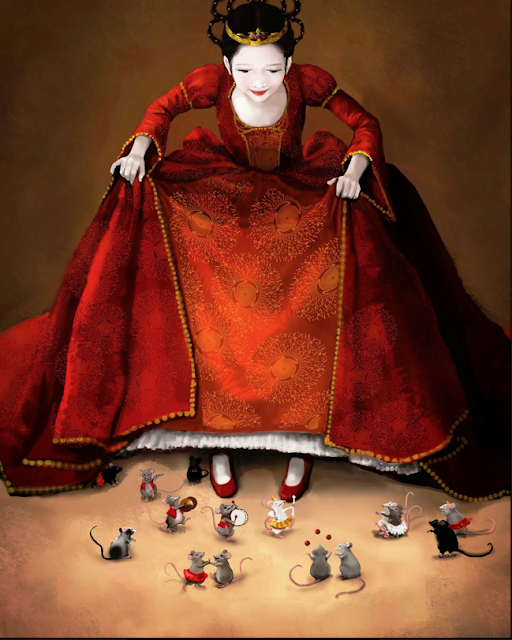 When I first started out in SCBWI, I read or heard somewhere that "talent floats to the top." That's partly true, and I'll change the analogy a little. You will "float" if you have worked to excel in your craft. But this is not something effortless. It's more like swimming or climbing to a point where your work is meeting industry standards, and then you tread water, where you stay poised and ready to be discovered. You won't be the only one treading water. I love looking through the work of other artists, and I am constantly humbled by the talent I see all around me. The talented writers especially blow me away (I wish I could be so eloquent!). But some authors and illustrators will give up or go swim elsewhere. Agents and editors who foster new talent are always looking, too, and they shine their beacons over the sea of us. When they come across someone who has put the time and effort in to learn and respect how the business side works as well as in creating great writing and/or art, they'll find you - because they are looking. Polish your work and then keep it polished, so that if you happen to be in the right place at the right time, it can be your turn! Lastly, since there is no way to know when you turn will come, you've got to keep it fun. Really enjoy what you do. On almost any given day, life is throwing us some really serious curveballs. Too many of us, or the people we care about, are faced with challenges that need all of our strength and focus. I hope you'll remember to let your creativity nurture you through these tough times. It lends peace and comfort by way of how we (the special creative people that we are) can always find beauty in the world. This is a great article, thank you for sharing! Glad you enjoyed it, Jacolyn. Great interview Sylvia and congrats to Dow! Beautiful, Dow! So excited that you will be paired with Jeanne for the book on Maya Lin - you are both superstars! Congratulations. Thank you, Cathy! :) I'm excited, too! I loved reading this interview and learning more about Dow. Great post! Thank you for reading, Annina! SOOOOO happy for you, Dow! Yay!!! Thank you for stopping by, Julie!! Congratulations, Dow—on finding the right agent and on your book deal! Congratualtions on connecting with your agent and your book deal! I know how you felt about getting affirmation on your work at a conference and getting teary. I've been there recently. It takes so much hard work but it so worthwile. I haven't seen many entries to the Tomie award but if you don't win, I'll be stunned. It's simply outstanding. Thanks for sharing your work with us! Yay, Dow!!! Didn't know about the book deal, but I was there, right next to Deborah, when she first saw your work and when you first met. One of my best memories from this past conference! So happy for you! Ana, yes - you were cheering me on enthusiastically, and you were a big part of how warm and fuzzy I felt that evening. Thank you very much. How fortunate I am to have met you! I loved reading about your journey, Dow! I pictured you like Athena, emerging fully talented onto the scene from the mind of some god! :) I find it reassuring that even someone as brilliant as you took some time to achieve success. And I love your advice to just have fun! I have had a rough year creativity wise and need to go back to having fun and enjoying myself. Big hugs and wishing you success always! Congratulations, Dow! 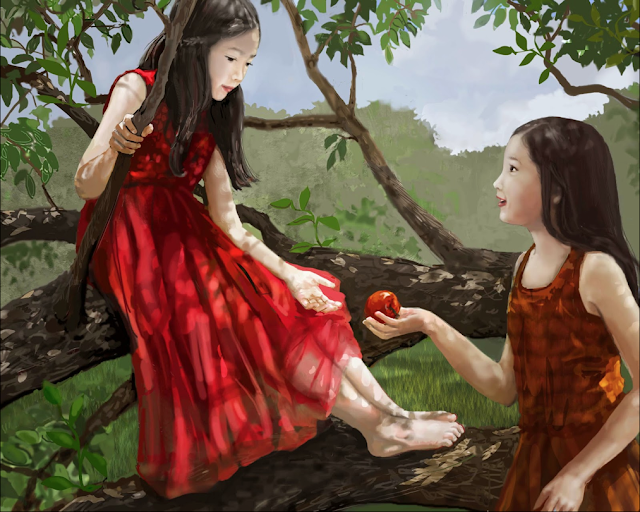 Your illustrations are gorgeous! Thanks, Sylvia, for the post. Dow, I do remember your work from the last time you were featured on KIDLIT 411. 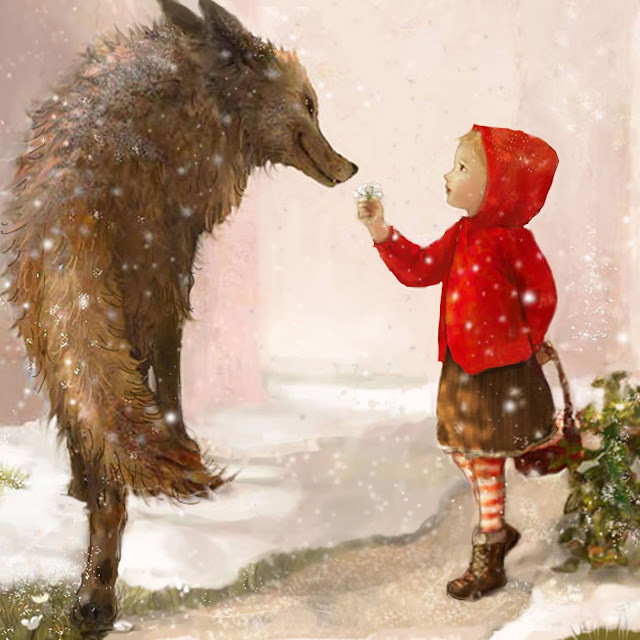 I especially love Red and the Wolf. You have a great "how I did it" story for us all and I am going to hang onto these words: "It's more like swimming or climbing to a point where your work is meeting industry standards, and then you tread water, where you stay poised and ready to be discovered. You won't be the only one treading water." And, "keep it fun." I do that. Dow, I love your art so much! Such a great post- thanks Sylvia and Dow! Stunning. Thank you for sharing your journey with us. Thank you for reading, Julie! Such beautiful artwork. Best wishes on this new phase of your journey! Oh, I am so late in seeing this comment! Thank you so much, Dawne! its awesome art work and really too good. i really appreciate you for doing this. keep sharing more useful information. I am happy you found this useful, Saki! Thank you!